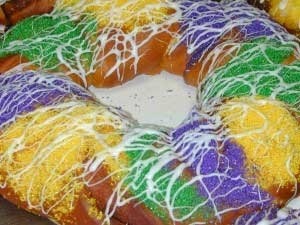 One of the many traditions of New Orleans Louisiana is the King Cake. I thought that I would share the meaning of the King Cake with you. Mardi Gras season begins on January 6, of each year and ends on Fat Tuesday, the day before Lent. One of the wonderful traditions of Mardi Gras, and probably the most delicious, is the King Cake. On the Christian calendar, the 12th day after Christmas is celebrated as the date that the gift-bearing Magi visited the baby Jesus. This day, January 6, is known by several names, including “Epiphany”, “Twelfth Night”, or “Kings Day”. The celebration of this event has evolved over the centuries, with each culture adding its own unique rituals. The New Orleans tradition, borrowing heavily from European influences, is believed to have begun in the 1870’s. As part of this celebration, it is now traditional to bake a cake in honor of the three kings – the King Cake. King Cakes are oval-shaped to symbolize the unity of faiths. Each cake is decorated in the traditional Mardi Gras colors – purple representing justice, green representing faith, and gold representing power. A small baby, symbolizing the baby Jesus, is traditionally hidden inside each King Cake. In New Orleans, King Cake parties are held throughout the Mardi Gras season. In offices, classrooms, and homes throughout the city, King Cakes are sliced and enjoyed by all. Like the Biblical story, the “search for the baby” adds excitement, as each person waits to see in which slice of cake the baby will be discovered. While custom holds that the person who “finds” the baby will be rewarded with “good luck”, that person is also traditionally responsible for bringing the King Cake to the next party or gathering. Most of us who grew up in New Orleans can remember Pontchartrain Beach. It was a place of fun and wonder for kids and adults alike. The Zephyr, Wild Mouse and, of course, the Beach are gone. The “Beach” bit the dust more than two decades ago. There is, however, a small remnant of the fun that still exists, and that’s where the treasure is found. It is located across Lakeshore Drive from UNO. The small strip of sand and crumbling relic of what’s left of the “Ragin Cajun” still remain. 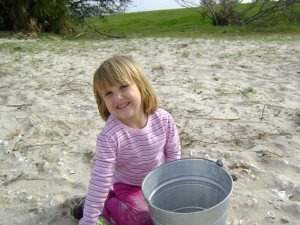 A few days ago my grandaughter, Emma, wanted to go to the beach and collect some treasures- just little pieces of sea shells and even rocks that she considers pretty. It seems that long ago I stopped collecting treasures, but it is amazing what a three year old will motivate you to do. Our adventure called for the finest of supplies, a shovel, bucket, beach towel and some water so we wouldn’t die of thirst. We searched for an hour and excavated many unknown areas and found a jar full of treasures. Now what does this have to do with being missional ? It’s real simple.There are people everywhere who need a treasure in their lives . Treasure is time you spend with them,kind words you say to them and small things you do for them. The real key is not what we do, but why we do it ? Jesus said, ”I tell you the truth, whatever you did for one of the least of these brothers of mine, you did for me.” The missional suggestion is to create a treasure for someone. Mark Nepo asks these questions in his recent book: Seven Thousand Ways to Listen: Staying Close to What is Sacred. He got me to thinking this morning. The following are some initial responses. For me, the contemplative tradition of the Christian faith, sprinkled with wisdom from other traditions, is my Wisdom Lineage. This arises easily. I am drawn to wisdom higher than rational thought, deeper than my own superficial reflections on life. I am drawn to wisdom which challenges my thinking mind, which can’t really wrap itself around wisdom. I remember how Richard Rohr contrasted contemplative mind and the dualistic mind in his book The Naked Now and in his sharing while in New Orleans in 2011. My dualistic mind is always analyzing reality into parts so it can feel in control. My Wisdom Lineage arises from the contemplative mind and its spacious vision, which transcends any specific religious tradition. Yet I have been schooled primarily in how that wisdom comes through the stream of Christianity. This contemplative mind is like the mind of God manifesting itself. Sometimes it arises within me and sometimes it comes to me through my tribe: authors I read and people I know. This Wisdom Lineage comes through people who act as a kind of mouthpiece for the Divine. They are the mystics, saints, and contemplatives in every generation who craft their lives around practicing the presence of God. Their practice tends to lead toward personal transformation and radical engagement with the world. In thinking of my “tribe of beings,” I look at the men in my men’s group from the Mankind Project, the ecumenical people of my United Methodist church, and the ecumenical and interspiritual participants in the School for Contemplative Living groups. Some of the traits of my tribe include people who are real/honest/truth-tellers, humble, reverent, non-judgmental, welcoming, seekers of personal transformation, lovers, and engaged in serving the world. People in my tribe are real human beings, meaning we have plenty of weaknesses and imperfections. We struggle with our humanity. Sometimes, in graced moments, we find the courage to see and say our own imperfections to others. This is our honesty at work. We are truth-tellers who are seeking our own growth and transformation. We do not have a license to belittle another and call that just being honest. Our truth and honesty is about ourselves. We seek our growth by telling truth about ourselves. Sometimes we even trust a Magician-energy inside us in hopes that our truth-telling will lead to our own transformation. We want to be all we can be, which means being our true selves. We also depend on each other to help us find the truth about life and ourselves, since many false beliefs can disguise themselves as truth. Truth-telling brings our darkness to light so we can coruscate: shine with the glory of God. In really graced moments the people in my tribe also accept ourselves just as we are. This is our practice of humility. In my experience we cannot do this alone. We need each other’s compassion to find self-compassion. We need acceptance from others to experience acceptance of ourselves. This is our practice of humility: self-acceptance grounded in others’ acceptance. The people in my tribe are non-judgmental lovers. They have visited the country of judging themselves and feeling judged by others many times. In the end this path was not life-giving. So the people in my tribe learn to recognize their judgments, and name them, without being controlled by them. In my tribe we see that all judgments come back to ourselves and point to areas we need to work on in ourselves. Judgments become a mirror. The people in my tribe are lovers. They choose a life of love over a life of violence. The real test for the lover is about self-love. This is the basis for all love of others. And self-love is not a product we can manufacture alone. We can’t create it by just trying harder. Self-love has its origins in the Great Love. And that love is manifested through imperfect human beings, along with master lovers like dogs and cats. In my tribe we help each other find self-love through our loving acceptance of each other. Compassion is our intention and practice. My tribe welcomes others into the community. We are inclusive. We actively seek out people who are not clones of ourselves. This means people of color, other religions, no religiousness, the LGBT community, etc. We do have boundaries in my tribe however. The one group we will usually exclude is those committed to excluding others. This is a weird paradox among us: we will not accept judgmentalism among us. Such people are simply not safe to be around. 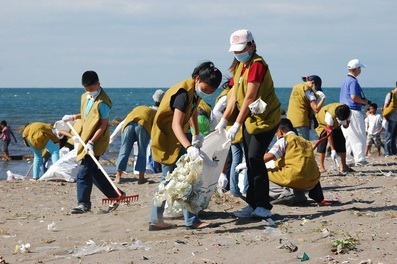 They tend to fragment community or create artificial community. Only they are not welcome in my tribe. My tribe tends to practice reverence. They are reverent in their attitudes toward God, at least a lot of the time. They cultivate reverence in their attitudes toward other beings and the whole natural world. They are seeing the sacred all around them, in everyone they meet, and welcoming those sacred beings into their lives. Finally, the people in my tribe actively engage in service of the world. We set our intention to find a mission and seek to live that mission in the world. We look for people to serve in accordance with our own giftedness and calling. Paradoxically, we often find that others serve/guide/teach us. My people actively engage in giving and receiving with other people in the world. Does that sound like anyone you know? If you look in the mirror, do you see that this tribe is you? Nepo, Mark, Seven Thousand Ways to Listen: Staying Close to What is Sacred, (New York: Atria, 2013), 59. The monastery runs a small retreat house. The monk who ran the retreat house was Father Thomas. Father Thomas was a true New Orleanean – he was a “Yat” in the finest sense. Saying “Where y’at, dawlin’” is a common Yat greeting. Ah, I love New Orleans. I loved Father Thomas like a brother. He was my monastic brother and he was my priestly father. He took me under his wing and he taught me much. I used to help him give retreats in the retreat house. When he first asked me to help him, I knew little about giving retreat conferences. As a teen, I worked in a spiritual youth program called “Search”. My job was to give one “talk” to my peers that weekend about my spiritual life. But as a monk, and as a 20-something kid, I had to stand before all sorts of people once a week, wearing my black monastic habit, and speaking about a spiritual topic that might be pertinent to a retreatant’s life. Retreatants would come from all over the country just to get away from the helter-skelter of their lives for a week. Some were in their 20s. A few were in their 30s. Most were in their 40s, 50s, and 60s. Some were in their 70s. Retreatants came not to forget about finances, or paying bills, or fears of bad parenting. They came not to forget about their spouse or the struggles of their job. No, they came to be better parents, betters spouses, better employees. They came to find out what God was calling them to do with their life. They came to better understand their relationship with God and with one another. They came to be better people and better children of God. I truly loved giving conferences. Father Thomas invited me back almost every week. Each year Father Thomas developed a new spiritual theme to talk about, and each year I gave a new talk on a spiritual topic. Sometimes I talked about prayer. Other times I talked about the theology of the human body. I tried to make all my conferences accessible, relevant, and meaningful for the retreatants. At the beginning of each year, I usually read my conference from notes. By the end of the year, my conference would be memorized and I would converse more freely with my audience, sometimes joking with them, sometimes asking them questions, usually engaging in a more Socratic method of spiritual instruction. I hope I served as a channel of God’s love for them. Some retreatants felt refueled at the end of the retreat week, and they returned to their lives with a greater sense of spiritual stability. Other retreatants wept at the end of the retreat week. They did not want to leave the peace that our simple, small monastery gave them. They were the ones I usually saw return year after year. Giving spiritual conferences became more than just a wonderful avocation of my vocation. It helped me better understand the meaning of our monastic motto: Ora et labora (prayer and work). Giving spiritual conferences was as much a prayer to God as it was work for my soul. Father Thomas and I quickly became good friends. He also became my spiritual director. Father Ambrose had been a great spiritual director during one season of my monastic life. But as my habit grew heavier, Father Thomas helped shape me into a better man for my brothers and a better monk for God. I would go to Father Thomas to confess my fears, my wrongdoings, and all my dark thoughts. He would help me see the difference between sin and bad habit. He helped me see that what I thought was sinning against the Love of God was simply me enabling a bad habit because I’d never learned the discipline to do otherwise. Father Thomas confessed to me also that he loved being a priest more than he loved being a monk. Yes, he loved quiet and prayer and contemplation — the quintessential elements of a monastic vocation. 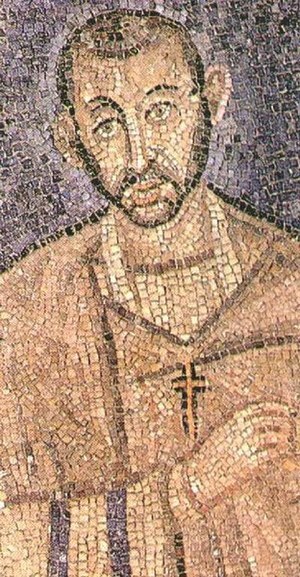 But the prayer and work that fueled his monastic existence was wholly different from the prayer and work that enflamed Father Ambrose’s vocation. For Father Ambrose, the priesthood of his monastic life focused on the interior dynamic of the brothers in the monastery. For Father Thomas, however, his priesthood focused on how the shockwave of the monastic life affected the surrounding neighborhood. One looked inward, the other looked outward. Both men helped me become in myself the synthesis of a monk: A man working to be less selfish and more selfless. Soon I became Father Thomas’ assistant retreat director. Sometimes he would have to go out of town and he would leave me in charge of a retreat week. It was my job to ensure that the retreat weekend went smoothly. Those weeks also gave me a chance to see what Father Thomas meant: His work was different from Father Ambrose’s work, although their prayers were similar. Father Ambrose attended every hour of community prayer. However, Father Thomas’ work required him to be away from many monastic services. I did not see him often at Laudes or Vespers, but he was usually at mass. His brother monks understood that his work required him to show constant hospitality to the guests in the retreat house. Hospitality has been a monastic staple for over 1500 years. Father Thomas was always hospitable to me. After the final prayer of the night, Compline (our hour for bedtime prayer), I would go to the retreat house. The sun would have already set and the stars would have begun to twinkle as I made the short walk from the cloister to the place where I knew Father Thomas would be — in the kitchen. He and I would sit in the kitchen and we would talk for a little while, sipping red wine. Sometimes we would play cards. We always played a card game called “Hearts.” We would usually invite Brother George and one other brother because the game was better with four players. Sometimes the fourth was Brother Elijah, other times it was Father Basil, or Father Killian, and once it was Abbot Justin. That was one facet of my life for many years, and to this day I remember the good things of those days and nights. The bad times were unfortunate accidents in a large machine, and today they have been washed away by love and nostalgia. The year after I left the monastery, Father Thomas had a heart attack and died. He was the first true friend I had who died. His body was nailed into one of our monastic coffins — a simple box that would house a brother’s remains until the Last Day. The large bell in the bell tower was tolled as the brotherhood carried Father Thomas’ coffin to our churchyard, where he was inhumed. There would be no more conferences like those he and I gave. There would be no more games of hearts or toasts to “Vino de la caja.” There would be no more Yat Brothers – for me at least. Another brother took over the work of the retreat house. We were workers in the hive of God. The pollen we gathered were men seeking a deeper relationship with Eternal Love. The sticky honey we made was a good home of spiritual maturation. We worked, we prayed, and we hoped that we would go to heaven to be with one another for all eternity, where we will understand one another better, why we failed one another sometimes, and how we loved one another as best as we could. I look forward to seeing Father Thomas again one day. I am eager for heaven where I hope he will greet me in his Yat accent: “Lawd, dawlin’, you’ve been such a fool, but I love ya like a brotha. Get in here!